Businesses everywhere are discovering the advantages of hyperconverged infrastructure solutions. According to industry analysts Gartner, Nutanix are at the forefront of delivering them. Hyperconverged infrastructure solutions (HCI) are IT frameworks that allow storage, computing and networking to be combined in a single system. The advantages are considerable: decreased data center complexity, increased scalability and flexibility, simpler management, lowered costs. 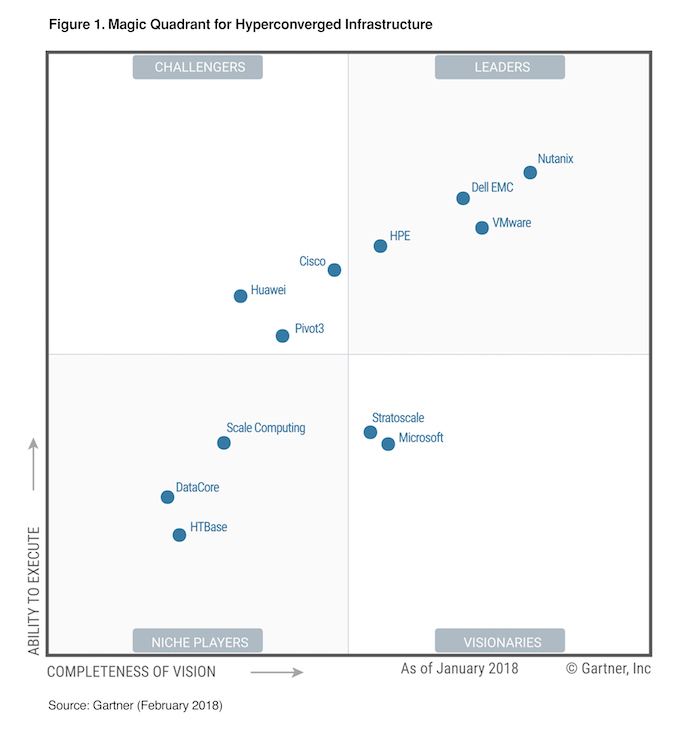 Nutanix are widely considered to be at the forefront of HCI, and that view has been reinforced by Gartner’s Magic Quadrant Report for Hyperconverged Infrastructure. Gartners use market research to rate vendors on two key criteria: completeness of vision and ability to execute. Using these, their scoring system assigns vendors to one of four categories. In their 2018 report on the state of the market, Gartner classify Nutanix as leaders. As Premier Partners of Nutanix, I-BIT help you to find the perfect hyperconverged infrastructure solution for your business needs. HCI is radically reducing Opex costs for enterprises, as well as increasing their agility in a changing world. To find out what that could mean for your company, please get in touch. You've read all about what we do and our experience in delivering change, so now's a good time to get in touch to learn how we can help your IT team become heroes.